“Everybody deserves food.” Pastor Doug Sivers said with feeling. The Montrose Mobile Food Pantry was established with that spirit in mind. Behind every great idea there is a moving force. In this case there were three: Mary Lee Fitzgerald, Judy Kelly, and Mary Ann DeWitt. Jo Ann Leonard explains that in the fall of 2016 these ladies began putting together a committee in the hopes of starting a LunchBox Program by the summer of 2017. Their goal was to take care of the kids in the boundaries of the Lathrop Street School where a terrible void exists. Unlike the *Choconut area where a LunchBox program was already in place, the 200 students at Lathrop Street School (49%,) who are on free or reduce lunch have nothing to fill this void when summer arrives. The committee that was formed is made-up of a lot of different people from the community, churches, and various service organizations in town. As the committee had meeting after meeting it became apparent they were not getting any traction. Jo Ann and Doug cited a couple of reasons for this: the huge expense, as well as the work involved to get a program of this magnitude off the ground. Fortunately it was at this point the committee heard about the **Weinberg Foundation. The committee and representatives from the Weinberg Foundation met to discuss possibilities. It was during this meeting the Weinberg representatives suggested rethinking starting a LunchBox Program; they suggested the possibility of starting a Mobile Food Pantry. They pointed out a Mobile Food Pantry would feed families throughout the year…not just kids, and not just in the summer. After the meeting, as the committee discussed this new idea there was a real, “We can do it,” feeling! Now on the second Friday of each month the typical scene at the Montrose United Methodist Church is a tractor trailer pulling up to the church around 9:30 a.m. and…hopefully, an army of volunteers ready to unload it. The Weinberg Foundation provides a minimum of twelve food items per month that come packed in bulk on pallets. The volunteers put their strong backs into unloading these. Some of the larger items; fresh fruit (watermelon,) and vegetables (bags of potatoes,) are left in the parking lot in tubs. The smaller items are carried inside where Jo Ann has the tables organized; a place for everything and everything in its place. More volunteer’s line-up to begin putting food into bags. One bag is a portion. Depending on the size of the family they will get one or two portions. The hours for distribution are 3:00 p.m. to 5:30 p.m., which gives the workers time for a lunch break. When they return around 2:30 the parking lot is already full. Joanne Sivers, Doug’s wife, makes sure families are comfortable while they wait. No lines. Instead they are invited into the church Sanctuary and welcomed by a volunteer. Comfortable music is playing as parents and kids find seats in the church where they can wait their turn. Families are able to converse and feel relaxed. Doug stresses the importance that readers understand the need in our community and county. 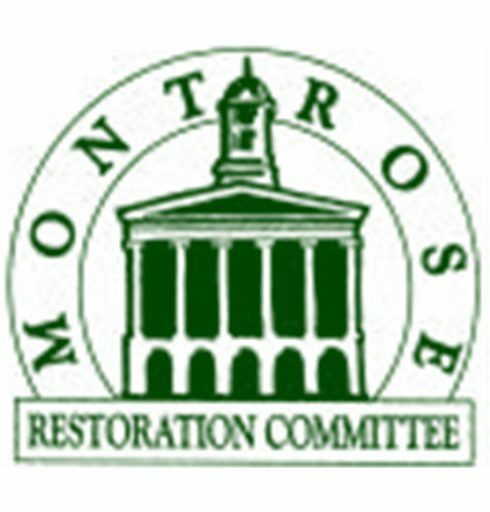 The Montrose Mobile Food Pantry has been serving families only four months but it is already the largest food distribution group in the county. The first distribution, fed one hundred thirty families, the second month one hundred fifty, the following month two hundred families; and this month (September) there are two hundred fifty families registered. These are not people looking for a handout. Instead the majority are the working poor. “They just want to have food.” Doug said. Many of these families are working two or three jobs and they still can’t put enough food on the table. Others have been laid off from their job. Don’t forget the elderly, who tell workers how difficult it is to survive on Social Security. Families preregister, this is important because the food is ordered based on registration. However, walk-ins are not turned away. Last month alone there were 30 walk-ins. Both Jo Ann and Doug emphasize they do their best not to send anyone away empty handed. Statics show the most successful Mobile Food Pantries have a lot of community involvement. Jo Ann said community participation has been the goal from day one. Both Doug and Jo Ann feel support from the Montrose community has been good so far. Last month there were 39 volunteers. They said it is not uncommon once volunteers have been here and see what’s happening to have them say, “I’ll be back” and then they bring friends. The community support that has been and will be offered to the Mobile Food Pantry past and future is not taken for granted. Without you none of this would be possible. Ray’s Supermarket has been and continues to be extremely generous; monthly providing bread at an affordable price. Cabot provides the milk each month. Russell Farms willingly offers cooler space when needed. In September, the VFW will sponsor the Pantry. The VFW Ladies Auxiliary will buy the bread for distribution this month, while the men of the VFW will help unload the truck, carry in the food and help distribute the food. Next month the Kiwanis have volunteered to be sponsors. When people work together to help other people it brings out the best in everyone. It’s exciting when someone sees a need and takes action to figure out an answer. Doug tells the story of the first distribution. Four hundred pounds of rutabaga arrived on the truck and suddenly volunteers realized people may not know what to do with a rutabaga. Nancy Dooling, committee member and volunteer, went home and came back with a printed recipe. She was even able to find a recipe that included most of the items being distributed that day…including rutabaga! Now, having a recipe on hand is part of the monthly agenda. The primary needs are volunteers and money. If you can’t support your time, donations are also very helpful. Organizations willing to make a one-time month-long sponsorship commitment are very much appreciated. Anyone with a fundraiser idea to benefit the Food Pantry, please let the committee know. It will be enthusiastically received. “We can use almost any kind of help someone is willing to offer us,” Doug said. If you have an inclination to help, or need help, please call (571)214-2184 please note this is not a typo, the area code you will be calling is 571. This is a dedicated line set-up for the Montrose Mobile Food Pantry. *In addition to a LunchBox program, Choconut Area has a Weinberg distribution from the Choconut School and Little Meadows. Choconut also has an anonymous Feed a Friend account at the Community Foundation, as well as a private food bank which is run out of the Silver Lake Fire Co.